Meet your corporate objectives, reduce costs, and maximize operational performance with Managed Services from WhiteLight Group. We proactively monitor your applications and IT infrastructure, manage resources, and resolve issues before problems arise. Keep your business running smoothly and rest assured you’re getting the most out of your on premise or cloud JD Edwards system. WhiteLight Group offers enterprise managed services, including administrative (CNC) services, development, hosting and support for a broad range of industries. As a trusted partner, we help you increase operational efficiency by providing reliable, experienced, and proactive technical support. We keep your business running smoothly by bridging the skill gaps left open by employee turnover and an aging workforce. 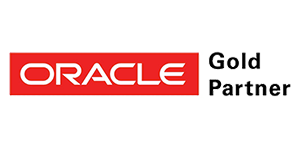 As an Oracle Gold Partner and certified reseller, our role requires us to certify on the latest release levels and related products. Along with our deep technical and industry experience, our consultants have an average of 15 years working with JD Edwards. Many hold professional designations, certifications, and advanced degrees. Free up internal resources to focus on core business functions and corporate initiatives. Access and leverage a pool of experienced CNC consultants. Scale resources to meet your changing needs. Get 24/7 support from an on-call JD Edwards expert. Get secured and configurable access to the latest release of JDE. Speed the knowledge transfer to your team using highly skilled consultants. Focus on your upgrade or implementation with reliable legacy system support throughout the project. Learn more about our managed application services offerings.